Ever so often I fall in love with a trend that just makes no sense at all, and try and blog away my love for it as I kind of "getting it out of my system" mechanism. 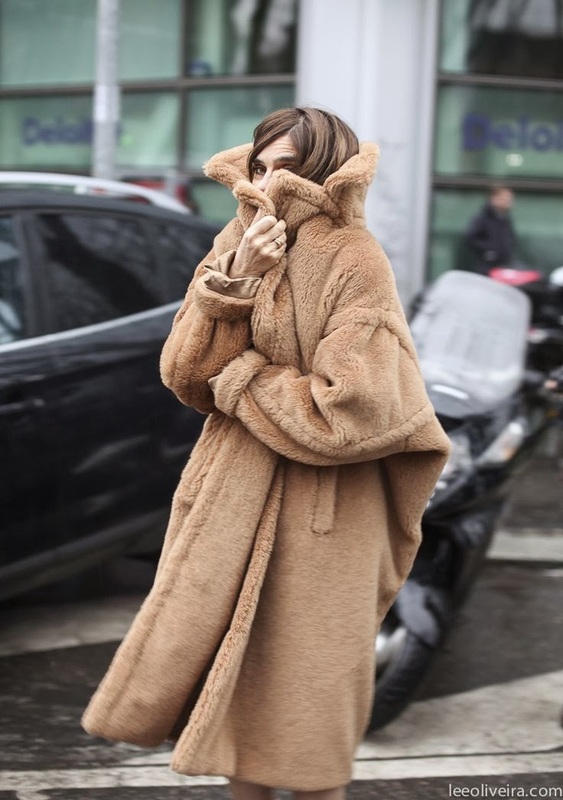 I'm hoping it works this time as I have a total, unadulterated love for the oversize teddy bear coats that anyone outside the "fashion world" would think were just quite straight forwardly ridiculous. It started on my visit to Paris last week, where I found this coat on a rail in my office. Cue obsession. It then wasn't helped by Pinterest at the weekend, as I scoured the internet for other options. I found snaps of all my favourite muses in similar styles and it just reiterated how much I need one. But, I'm not lucky enough to have £1,300 to blow on a coat. I found this one from H&M in the sales for £75, but wasn't convinced it was a nice colour, or perhaps a little sporty? I also found this black one from Topshop which is great, but not the honey brown I'm looking for. I'm seriously struggling for options (although I did find this one for 70% off at Net A Porter) - I'm guessing more and more will pop up on the high street as so many runways had them on. But HURRY THE HELL UP please I'm COLD... Or, maybe don't - I might well be over this look in a week. What do you think? Have you found any good ones? wow, this seems so comfy!!! Love these coats, they look so cosy!